This large feathery shade tree is very popular in Mexico. 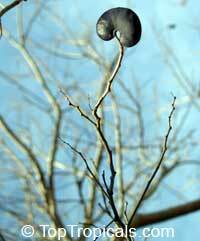 The legume pod is curled up and looks like an ear. 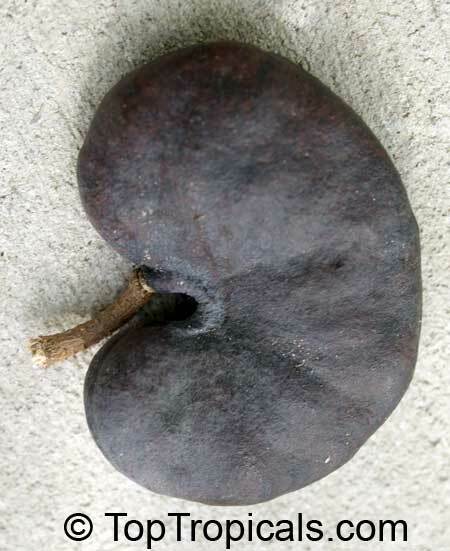 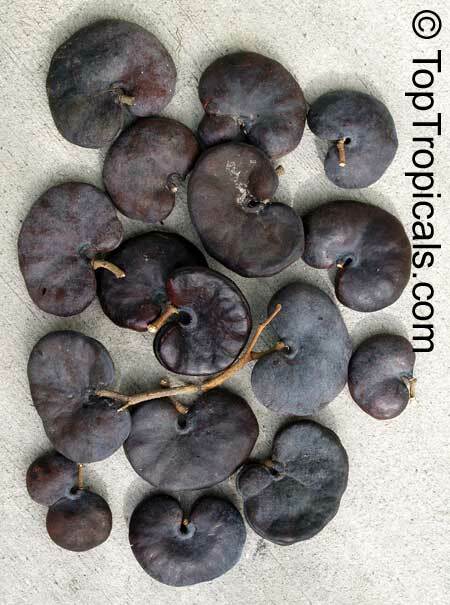 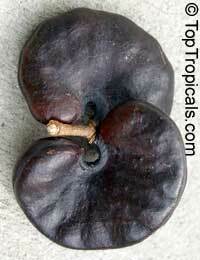 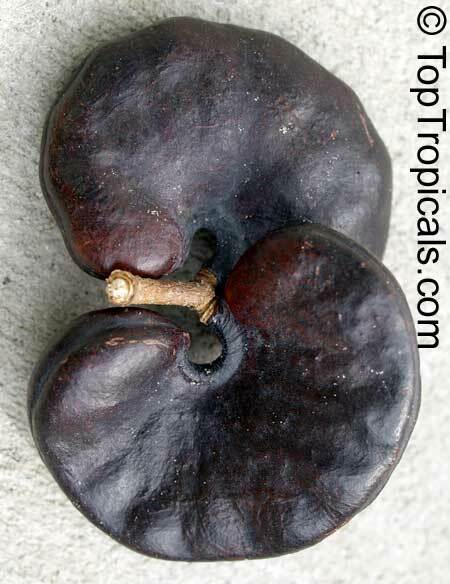 The species name means fruit in a circle, referring to the oddly shaped pods of this species. 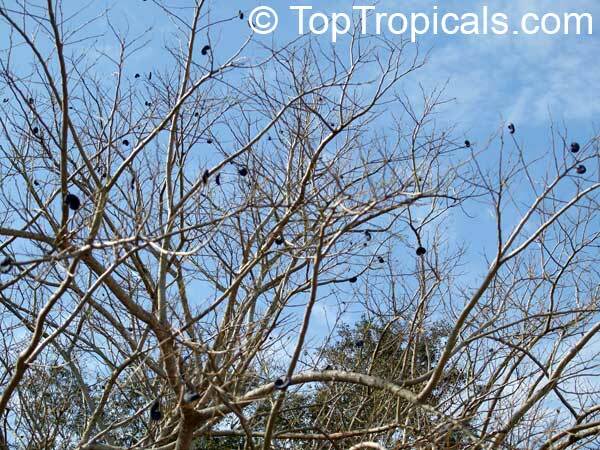 This tree is the national tree of Costa Rica and El Salvador. 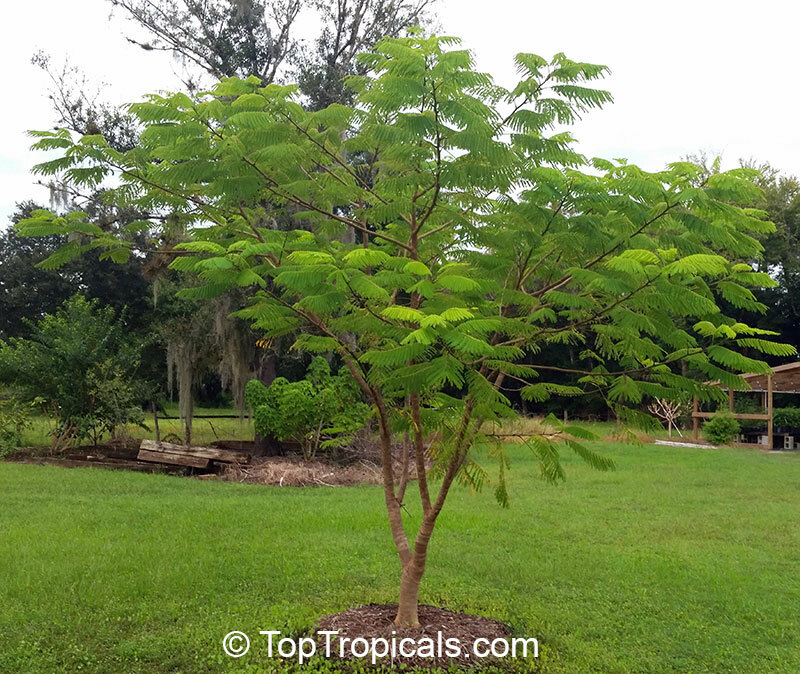 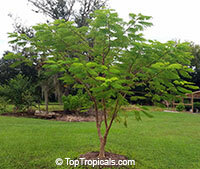 This fast growing tree reaches heights of 100 feet with a spread of 70 feet or more. The trunk is brown with many stems. 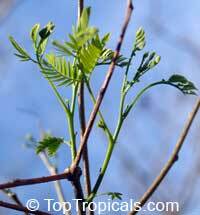 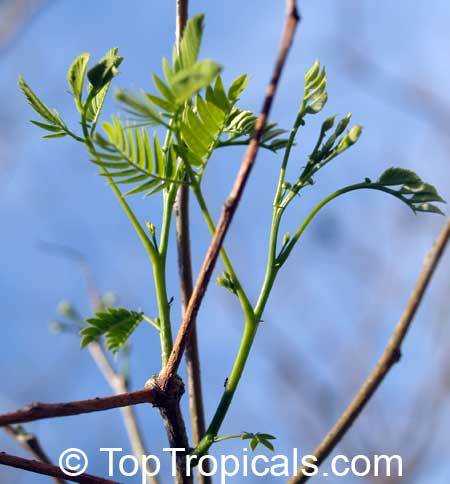 The bipinnate leaves have 20 to 30 pairs of leaflets. 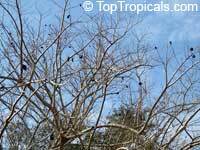 The small white flowers are formed on green pompoms. 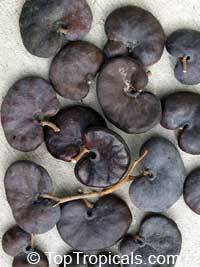 They are followed by a flattened, dark brown seedpod, curved into a circle about 3 to 6 inches long and resembling a strange ear. Most notably, the pods of this tree are used extensively as decoration and for crafts. 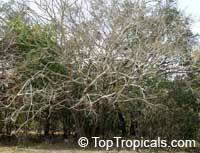 The litter from the leaves is used for animal fodder.